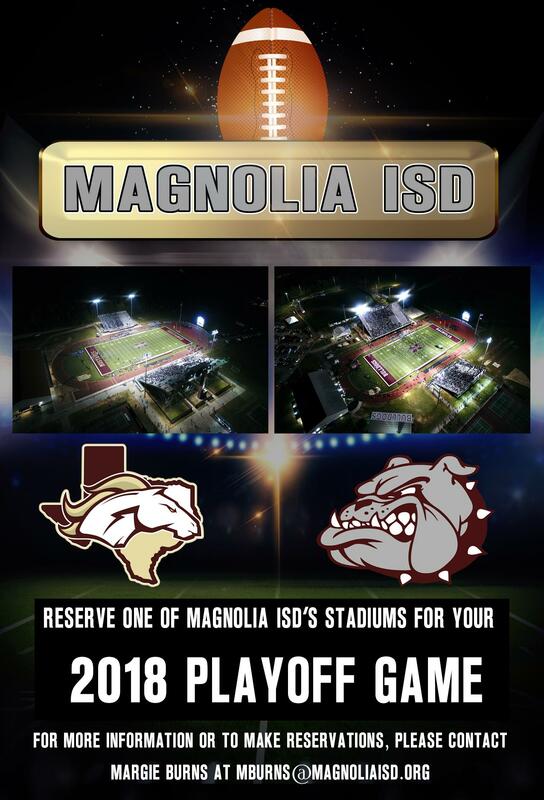 Magnolia ISD playoff packet rental information for the Bulldog Stadium and Mustang Stadium. $3,900.00 plus 20% of gross ticket sales. This includes full video package including replays. MISD will pay officials and UIL out of the gate. 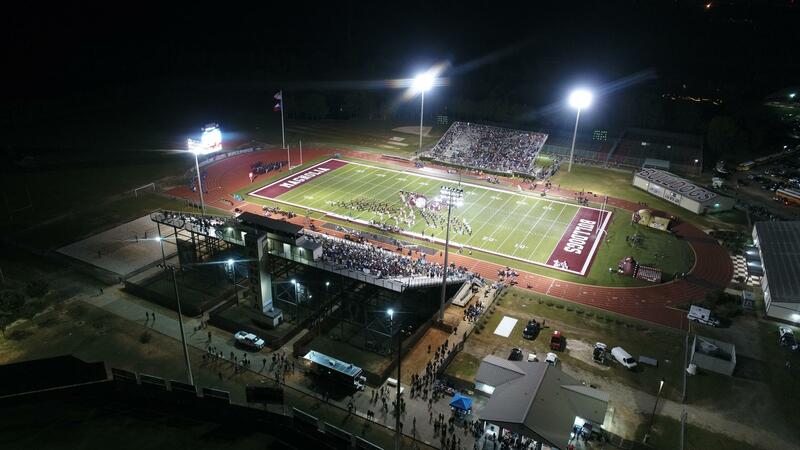 MISD will keep 20%, and split the remaining gate money between both teams. A check will be sent to each school for that amount. 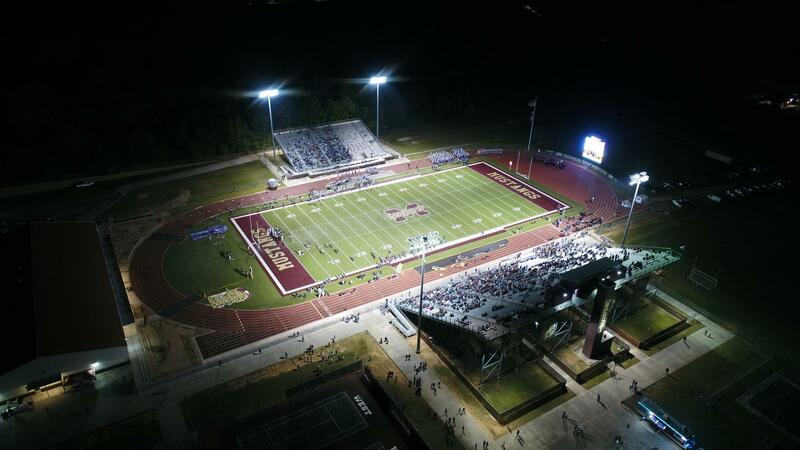 Provide MISD Athletic Office with a copy of the pre-game sales report and number of complimentary tickets. Provide MISD with a copy of all passes to be honored. Sign and return stadium use contract. Provide copy of rosters by Tuesday prior to game day. Provide a copy of school liability insurance with MISD as the named third party.